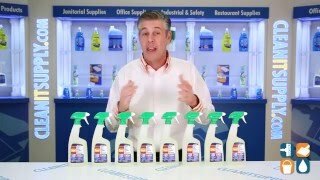 This unique 2-in-1 all purpose liquid cleaner combines heavy duty detergents with all of the benefits of bleach to remove tough stains and cut tough grease. Ideal for cleaning kitchens, Comet Spray Cleaner with Bleach can effectively tackle tough soils and tacky grease on range hoods while removing food stains from countertops, tables, and cutting boards. 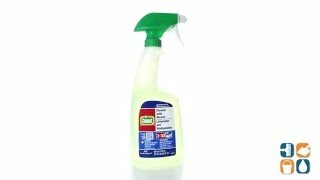 This all purpose cleaner can also be used in restrooms for cleaning toilets, urinals, sinks and vanities and is effective in removing mold and mildew build-up. Comet is formulated with patented cleaning technologies to handle a full range of kitchen and restroom cleaning tasks without the use of abrasives. With the trigger spray bottle, applying the formula has never been easier—simply point and spray. Purchase the Comet bathroom cleaner in bulk and save! 32-oz. spray bottle. Includes 8 bottles.